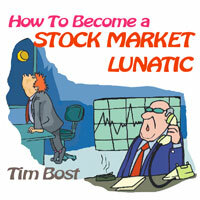 Investing in the stock market is a crazy enough idea, but when we start to use astrology, things can really get weird! Tim talks about real lunacy here in the literal sense: he reviews some solid ideas on how the cycles of the Moon can impact the profitability of your trading. Recorded live at UAC 2002 in Orlando, Florida.